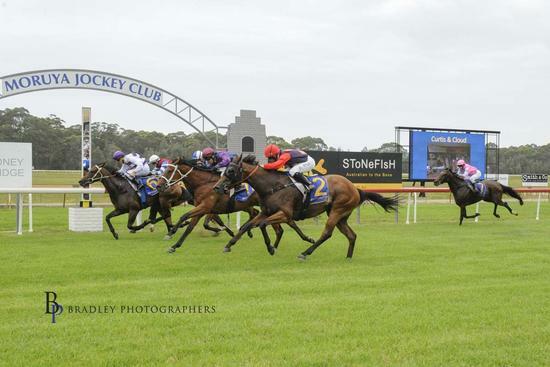 Storm Attack, "Camo", has secured his maiden win at Moruya Racetrack on 7 January 2019 in the maiden / set weights 1425 metre race. Adrian Layt took the ride, jumping from barrier 7. Camo jumped well from the wide barrier but had to take a sit towards the back of the field shortly after the jump. He settled with a rails run at the end of the field for most of the journey. At the turn, he was last with all the work to do. With a fantastically patient ride by Adrian, Camo took the split and took a run down the home straight between horses. With little room, Camo emerged from the leading pack to poke his nose in front and secure his maiden win, beating home Indiana Star in 2nd and Noble House in 3rd. It was great to see Camo take the narrow split and knuckle down and grind away for the win. He would have learnt a lot from this run and we are excited to see what his future holds. All at the stables would like to congratulate his owners and we hope there are many more to come for the likeable, Camo. Thank you Bradley Photos for the winning picture.